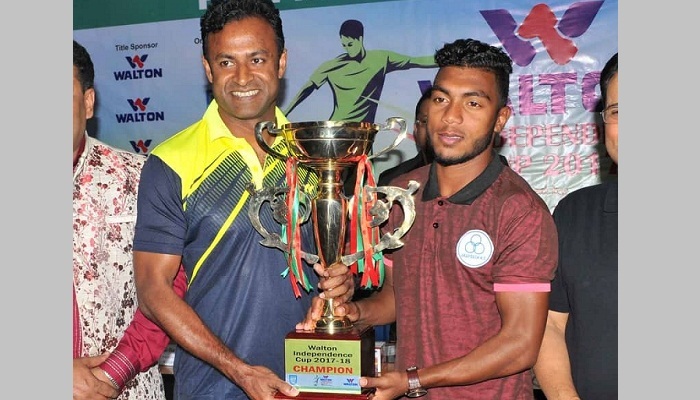 Defending champions Chittagong Abahani Ltd will take on first-ever finalist Arambagh Krira Sangha in the title deciding match of the Independence Cup Football Tournament at the Bangabandhu National Stadium (BNS) on Saturday. The final battle of the 12-team tournament will kick off at 4pm (local time). Chittagong Abahani reached into final eliminating Rahmatganj Muslim Friends Society by 1-0 goal in the 2nd semifinal on February 6 while Arambagh KS eliminated Sheikh Jamal Dhanmondi Club also by 1-0 goal in the first semifinal on February 6. Both semifinal battles were held at the BNS.